Garage doors are available in several different materials, each of which has merits and shortcomings. Here is a quick summary of what each material offers, with suggestions on how to compare the options. 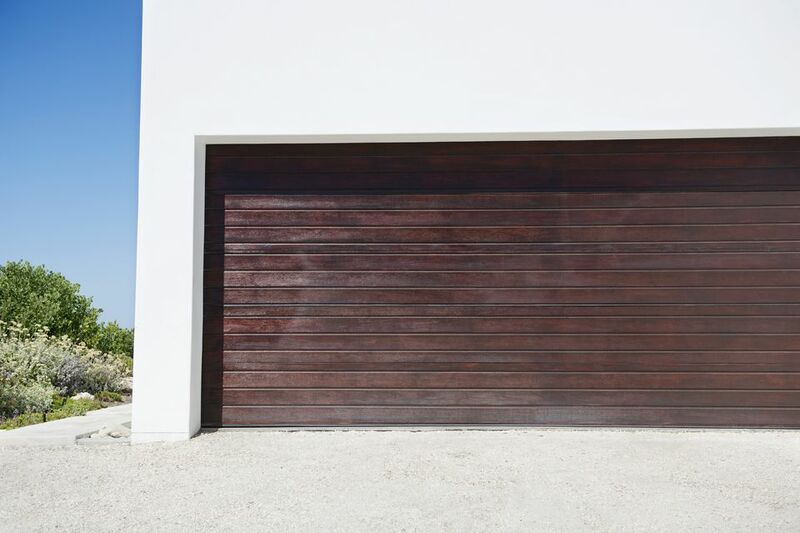 Steel is the most popular material for garage doors, and for good reason. Steel doors are reasonably priced, durable, low maintenance and available in just about any style you like. Steel can be painted, and it is available in textures that mimic wood. When shopping for a steel garage door, two features are particularly worth giving some thought to. First, steel is a poor insulator, so insulated doors are a smart choice for saving energy (and reducing noise). Second, garage doors have steel panels that vary in thickness. Low-cost doors have thin panels of 27- or 28-gauge steel. Though inexpensive and suitable for many garages, these doors will not stand up well to impact (from basketballs, for example). Midlevel doors offer 25- or 26-gauge steel (the lower the gauge number, the thicker the steel). Top quality doors use steel that is at least 24 gauge. Commercial-grade doors use even thicker steel. Some steel garage doors offer thicker steel on the outside than on the inside. Aluminum doors share many of the characteristics of steel, with optional faux wood texturing and long-lasting finishes. Aluminum is lighter and less expensive than steel, but it is more likely to dent. The first garage doors were made with wood, and wood continues to appeal to those seeking traditional styles and materials. Wood doors are offered in a variety of styles, which can include windows. The lowest-cost option is painted wood with flat hardboard panels. Stain-grade wood doors cost more, but offer the warmth of natural wood that can make a big difference in the curb appeal of a house. Wood is a better insulator than steel, but insulated steel doors provide better energy conservation. Wood doors need to be maintained and refinished regularly. Composite doors are made with recycled wood fibers. They offer the strength of steel with the looks and texture of wood, and they can be painted or stained. Composite doors are superior to solid wood in resisting rot and splitting. Fiberglass garage doors represent a small segment of the market. The panels, which are encased in aluminum frames, can be painted and offer greater resistance to dents than thin steel. Fiberglass is very light, a poor insulator, and can fade from weather exposure. But it is more resistant to salt-water corrosion than other garage door materials, which makes it a good choice for coastal locations.